All technology is based on science. And the way that science evolves to technology is always a variegated path. Without Thomson searching for fundamental components of atoms and discovering the electron, we wouldn’t have electronics. Without Tim Berners-Lee we wouldn’t have the internet communication we find so useful today. Science can best be defined as the process of building and developing knowledge about the space we live in called the universe. It helps in the construction of new ideas that drive how we interact with the world around us. These ideas are exposed to a cycle of testing and retesting in numerous ways until we develop confidence in them. Furthermore, these ideas are modified and expanded into more powerful explanations which help build a broad understanding of the way things work. Thus, even though the process of science is repetitive, the cycle actively serves to construct and integrate scientific knowledge. And the knowledge obtained is useful for all sort of things: from designing and constructing buildings to treating the sick. Scientific knowledge allows us to develop new technologies, solve practical problems and make informed decisions-both individually and collectively. Understanding the process of science can help anyone develop a better and more complete outlook on life and forming relevant theories which explain a wide range of phenomena. For example, an understanding that treating AIDS patients with a cocktail of medications should slow the progression of the virus and has proven itself time and time again in thousands of experiments and observational studies. Science and scientists are diverse from those developing the world’s newest technologies to the individuals who deal with the specific illness of a particular community. Despite the diversity, the aim of science remains unchanged — to build more accurate and powerful natural explanations of how the universe works. People from all over the world from all sorts of different cultures and backgrounds are a part of the scientific community. At some points in history, science has largely been the domain of a specific group of people, but that is simply no longer true. Scientists from such diverse backgrounds bring many points of view to bear on scientific problems. The 24-year-old chemistry graduate student from South Africa, the 41-year-old fisheries biologist from Florida, and the 65-year-old paleontologist from Beijing probably all have quite different perspectives on the world, and science and the general global community benefits from such diversity. Collaborations and division of labor are increasingly important today as our scientific understanding, techniques, and technologies expand. 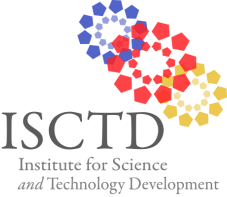 ISCTD aims to take advantage of this diversity trend to bring more people and ideas into the global scientific discourse.